Congratulations and welcome to Royal LePage! The information below will help you setup your email and access the myriad of tools and services offered at Royal LePage. You have joined a premium, national brand with a network of over 18,000 agents and brokers. 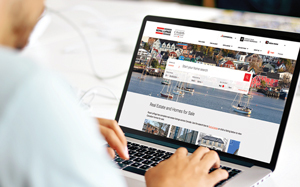 Royal LePage REALTORS® are known as the best and most successful in the industry. Year after year, our sales professionals are more productive than the average agent in the real estate industry. And, that’s in part due to our commitment to providing you with the industry’s best tools, services and support. So you’ve just joined us, but who exactly are we, and what do we stand for? The promise we make to you, and the promise you make to your clients, has been part of our core for over 100 years. Watch the video to learn more! With one easy login, you’ve successfully logged into rlpNetwork! 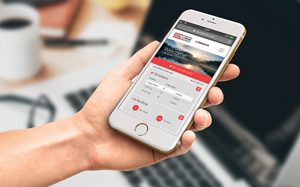 rlpNetwork is your personal online resource to Royal LePage’s unparalleled sales, marketing, training and technology tools. These video tutorials will help you navigate the website and explore the many tools and services available to you. 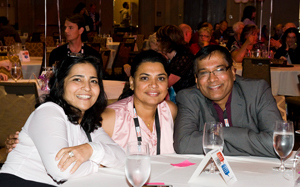 At Royal LePage, we offer industry-leading professional development and training programs. We are the only real estate company with a team of Learning Services Consultants, who travel six months of the year to brokerages across Canada hosting in-person workshops. Learn more about the training opportunities offered here. 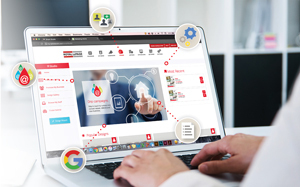 Smart Studio is a powerful tool that automates and grows your business, integrating a Client Relationship Management (CRM) system and other critical business and marketing functions to help you be more productive. Optimize your database, market yourself and your listings with a single, time-saving application provided to you at no additional cost. 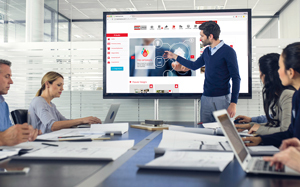 Learn more about Smart Studio by watching this brief video, or visit my.rlpNetwork.com/SmartStudio to get started. Our national website, royallepage.ca, receives approximately 40 million visits per year. Consumers typically search for listings or search for an agent, driving more leads to you. Watch our video to learn more about new features that amplify the consumer’s experience on royallepage.ca. Get connected and get leads! ClientClick, our preferred supplier, offers a website solution tailored for real estate professionals at a cost-effective price. ClientClick websites are easy to create and feature the latest technology, positioning you on the leading edge. Fully-integrated with our Smart Studio CRM, your leads are automatically added to your database for quick and easy follow up. Click here for more information and to get started on your new site. 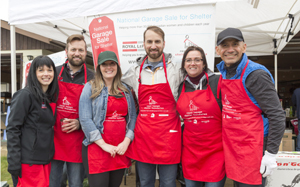 Did you know we are the only Canadian real estate company with its own charitable foundation? Our network has raised over $27 million with 100% of the funds raised going towards ending domestic violence in Canada, Watch this video to learn more and to get involved today. We understand that meeting your peers and industry leaders is important for your continued learning and building a referral network. Which is why we host several networking events throughout the year. From our biennial National Sales Conference, to our National Chairman’s Club Retreat, to our Regional Awards and Networking Galas, there are a myriad of opportunities to build strong, lasting connections. Visit the Royal LePage Events website for more information on upcoming events. Follow us on social media, and subscribe to our YouTube channel to be informed whenever we upload new content for you to view and share.